Is Compliance Management Driving You NUTS? Claim Your Free Security & Compliance Consultation Here! A Comprehensive HIPAA Assessment can simplify compliance management by helping you identify assets, document security guidelines, locate areas of weakness and define steps to reduce risks. 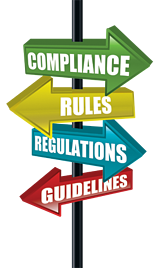 Our Free Security & Compliance Consultation will help you determine if a Comprehensive HIPAA Assessment is for you! Since this is free, you have no good excuse not to do it now. If we find that you're well-prepared to deal with security, risk and compliance concerns, then at least you will have peace of mind that you are prepared for a compliance audit. But if we DO uncover any shortcomings, you’ll be able to fix them BEFORE you’re audited. Security & Compliance Consultation today! Who Qualifies for this consultation?